KPAC has delivered a range of creative, innovative projects using flexible methods of delivery and providing learning opportunity in a safe and friendly environment. Because of this, we have a very high retention and completion rate. This is important to us. Our projects are all about people, not outputs. We want people to feel comfortable enough to be able to take responsibility for their own learning and to go on to other projects with more confidence in themselves. This is a programme that is specifically for people with learning disabilities and their families. A range of activities are organised that the whole family can take part in. Much of this programme is around developing skills for independent living, money, shopping, travel, socialising safely, arts and crafts, music and film. This programme gives families the opportunity to take part in learning activities together in a fun and safe environment where the whole family also gets the opportunity to socialise. The Family Digital Photography project took place in spring of 2010. In total there were 6 families involved. These families were from the Huyton and Kirkby districts of the borough, and all would be considered disadvantaged and excluded for a variety of reasons, but mainly because each family had at least one disabled adult and a young carer in it. The project was commissioned by Knowsley MBC Children’s services. The aim of the project was to engage families with young carers into learning using photography as a creative medium to do this. The course took place in KPAC’s training room in Huyton. In order to ensure accessibility to the course, transport was arranged and paid for by the project. This proved to be an important element in designing the project. Case study 1 - Week after week a taxi was sent to pick up ‘Kate’ from Kirkby, and each week she failed to arrive at the course. However, we continued to send the taxi every week and in week 4 she eventually made it to the course. It became apparent through conversation with the tutor, that Kate suffered from agoraphobia had not left the house alone in 6 years. This was the first time in 6 years that she had done anything independently and was a massive step for her. After the first session, she continued to come to the course every week and enjoyed it thoroughly. Kate even made friends with another woman who lived close by and they remained friends after the course had finished and chatted online and went shopping together doing normal ‘friend’ things that most of us take for granted, but Kate had not been able to do this for 6 years prior to engaging with the project. Kate also went on to do a Counselling course with Knowsley FACE. Case Study 2 - Another family had been tragically bereaved; one of the sons of the family had died. The family were having significant problems caused by the bereavement and were struggling to move on. The family were able to use the photography project to initiate discussions about how individual members were feeling and what could be done to help the family move forward after such a tragic event. The feedback from the family was this was as a direct result of being involved in the project. All the family photos in the house had previously been removed from display, apart from those of the son they had lost. For the first time in many years, the family had photographs displayed at home which they took as part of the project. It helped so much for them to do something together as a family and this helped them to be able to discuss and help come to terms with their loss. Case study 3 - In one of the families that took part there were 3 generations, Grandmother, mother and father and 2 daughters, (one of the daughters was pregnant). It was fantastic for the family to be able to work together across generations, and really good example of bridging the age gap to support one another and share skills. The Growing Places project was a transformation learning project and was based around allotments and community gardens. In total, 4 sites were developed in the Borough including 2 allotment sites and 2 community gardens with raised growing beds and flat growing plots. 2 sites had poly tunnels, classrooms and washing/toilet facilities installed and electricity. The target was for 30 people to be engaged, the actual was over 130. Because of the variety of activity, local people engaged for the type of activity they were interested in, for example, some people where interested in the land development and landscaping and building, where others were interested in planting and growing and others in hanging baskets. This project left a great legacy. The allotments and gardens are still being run and maintained by members of the community, who are still passing on what they learn to others. Below are 4 case studies from the programme. Paul is a 52-year-old father of 2 who has been unemployed for four years since being made redundant. He became involved in the Holsnead project in Whiston after one of his children saw it advertised on the website. Paul has been involved in site clearance, laying flags, basic construction and planting. Paul turned out in all weathers to volunteer his help. Paul said “ I first became involved because I wanted something to do and was sick and tired of the area where I live being used as a dumping ground. Since joining the project I have really learnt a lot from laying flags to basic joinery and a lot about growing vegetables.” Since the project Paul and his children have been involved in developing a flat bed plot and working with neighbours to grown their own food. Paul hopes to use his new skills to gain employment. Encouraging vulnerable and disadvantaged adults, young people and children, how to travel independently to places where they needed to go, this could be a workplace, college, learning centre, health centre, leisure centre or town centre. This included journey planning, timetables, health and safety, behaviour, how to attract the attention of the driver, what to do if you get lost, looking out for landmarks and where there are wheelchair facilities. This project is all about giving people more independence and widening their boundries in a safe and confident manner. This was commissioned by Knowsley Community College to deliver a series of programmes targeting disadvantaed adults. This was especially targeted to those wishing to progress at or into work and aimed to secure progression of 50% of engaged adults. The programme centred on working collaboratievly with other organisations in Knowsley including the Adult Learning Partnership. KPAC delivered a range of activites for this programme that included accessbile sports, disability awareness training, and financial inclusions programmes. KPAC has delivered a number of health and wellbeing projects to the community with the aim of encouraging children, young people and adults to take part in sporting activities, lead a healthier and more active lifestyle, eat more healthily and make positive lifestyle changes. Over 70 people each year took part in various activities that helped them to make positive changes to their health and wellbeing. Also, as part of this programme, we take people out to visit other local provision, such as the local leisure centres, so they may feel more comfortable and confident if they were to visit other provision at a future date without the support of KPAC. KPAC has delivered a series of courses through this programme over the last many years, examples of the kind of courses delivered includes; journey planning, disability awareness training, accessible sports, financial inclusion, life skills for independent living, alternative therapy, history and culture projects, photography, IT, team building, presentation skills, employability skills, and many many more. This programme has enabled KPAC to extend the range of services it delivers in the community and has been defined by the need in the community. This programme is designed through consultation with service users and other community members to evaluate what the community would like to see delivered, where and how. This programme included activities to support families in safeguarding their home and themselves and topics included deterrents against burglary, alarms and locks, leaving the home secure, bogus callers and being secure while inside your home, especially for young adults and adults with learning disabilities. The course also included self defence techniques, which taught young people how to avoid confrontation and the basics of getting out of a potentially dangerous situation quickly. The programme also included issues around safe dating, safe use of social media and socialising in a safe environment. KPAC is currently working with a group of young people, most with learning disabilities, around disability hate crime. This is an awareness raising project that will encourage young people to talk to other young people about what disability hate crime is, why it should not be accepted as a way of life, and how to go about reporting it. Also it will help young people to understand what happens when a hate crime is reported and what the processes and procedures are for this. Another aspect of the project is for young people to talk to other young people about what it feels like to be bullied and victimised. KPAC has delivered a number of culture and history projects. 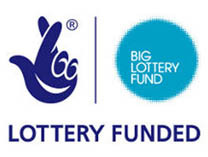 The aim of this programme is to give people the opportunity to develop softer skills including organisational skills, communication skills, motivational skills, active listening skills and interpersonal skills. The aim of the project is to take each learner on a journey away from classroom environment and out into the exciting world of Knowsley and Liverpool museums, art galleries and libraries. Each participant has the opportunity to go on day visits to attractions and areas of interest in Knowsley and Liverpool. Learners have the opportunity to learn about Liverpool’s middle age history and Knowsley’s Viking ancestors amongst others. Knowsley residents, particularly disadvantaged groups have the opportunity to broaden their local knowledge and skills base. The project provides learners with the opportunity to visit local and historical sites, and communicate their learning by incorporating photography. The project aims to encourage more and different people into learning, especially those who would not usually participate due to lack of confidence in taking first step and lack of information. Learners keep a diary of their experiences including photographs, leaflets, tickets, information about places visited etc. The aim of these programmes is to improve the health and wellbeing of local families through accessible sporting activities including rebound therapy, new age kurling and boccia. New age kurling and boccia are team sports that have been adapted for people with different abilities and skills including wheel chair users and people who have other mobility difficulties. People of all ages and abilities can take part in this type of activity and allows them to move within their mobility range and develop new skills. Accessible sports also help people to improve their social skills, team working skills and to gain confidence. Feedback from these courses has proven to us that this type of accessible sporting activity is beneficial to families as they have good fun taking part in an activity together where they may not have this opportunity otherwise. In addition to this, we encourage people to access other local provision, and, for example have taken groups to the local leisure centre to visit so they may feel more comfortable and confident at a future date when they visit without the support of KPAC. All of the above activities are risk assessed to ensure the health and safety of participants and of staff. Equipment is serviced regularly, new venues are risk assesses and staff are fully trained and experienced. All staff are CRB checked. Each outdoor activity is risk assessed prior to any planned activity. Staff involved will visit venues and travel on the planned routes to assess risk and accessibility. All participants’ needs are taken into considerations, particularly those with access needs. Any issues are discussed and alternatives and contingencies planned.